After the turkey has been devoured, holiday shoppers emerge at popular store locations to capture that next holiday deal. Don’t get caught in line, go online! Unlike Black Friday, there’s no need to elbow fellow shoppers or wait in long lines because these fantastic deals can only be found online. Cyber Monday (the Monday after Thanksgiving) is quickly becoming one of the busiest online shopping days of the year and for good reason, web surfers can find huge savings, free shipping and a wide range of other bargains or special gifts. Buyer beware, make sure you’re ready to embark on this online adventure in the age of information. Prioritize your shopping and have ideas of your potential purchases so you are not overwhelmed by the amount of deals, up-sell offers and product information. Also be sure your computer is up to the task. Check your broadband speed and ensure your computer is safe and secure for online purchasing (free of malware and viruses). Log on Early. Some sites will offer doorbuster-style deals that will last only for a few hours online. 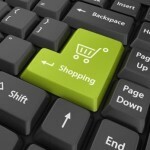 Many other retailers will post specials on their sites during the weekend and continue through Cyber Monday. Shop Safely. Make sure you’re shopping on secured sites. Check for a padlock icon or that the website begins with “https://” — both signs that the site is encrypted and safe. Also, avoid following links that are included in an email, as doing this will risk being linked to a fake Web page. Instead, type the URL of the store directly into a new window. Skip the Shipping Fees. The one downside of shopping online (versus shopping at the mall) are the shipping fees. But the good news is many retailers offer free shipping deals on Cyber Monday. If you don’t find free shipping deals on a retailer’s site, check a competitor’s. Also, some sites offering free shipping deals require a promotional code, so check up on bargain-hunting sites like RetailMeNot.com, Couponcabin.com and SlickDeals.net. Shop Smart. Price comparison sites, like pricegrabber.com or Google Product Search, are extra helpful when you’re shopping online to ensure you’re getting the best price for a particular item. Do Your Homework and Prioritize Purchases. While it is hard to predict what deals you might find on Cyber Monday, it’s a good idea to do your research early on the items you want. Make a list of all the items you want to look for on Cyber Monday, then go through it and prioritize which items you’re going to look for deals on first. Get Your PC Ready. To keep your online shopping safe, make sure your antivirus software is up to date and set to run a scheduled scan for malware prior to Cyber Monday. Also, make sure your web browser (like Internet Explorer) has all the necessary updates for Adobe Flash and Java, two technologies many sites use. You’ll also want to check that your broadband Internet speed is performing optimally, so you can shop without a slowdown. Use the SpeedTest.net to ensure your broadband is up to the task for Monday.